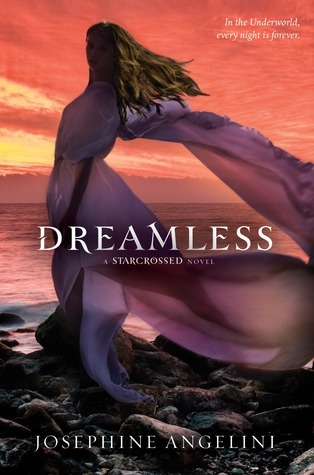 We were thrilled to catch up with Josephine Angelini to talk about the second book in her Starcrossed trilogy, Dreamless, which hits bookstore shelves at the end of this month. We had Josie on the show around this time last year, before Starcrossed had even come out. It was exciting to talk to her again and hear about life as an international bestselling author! Enjoy the interview, and be sure to comment and let Josie know how much you're looking forward to reading Dreamless! And don't forget.. there are only a few more days left for you to sign up and win our anniversary giveaway, including some signed goodies from Josie! Hosting courtesy of archive.org. Intro music by 46bliss. Be sure to subscribe to Authors are ROCKSTARS! on iTunes! Special thanks to our interview engineer, Erica, for making us all sound marvelous! I loved your interview with Josie! It seems like you had an amazing time with her. So jealous. Thanks for listening! We adore Josie. She's so much fun! If she ever does a book signing near you, we highly recommend you meet her.